The Eureka City Council passed a broadly worded resolution last night that delineated the city’s goals and attitudes towards minority groups, women, immigrants and the environment. The Human Rights, Inclusiveness, Environmental Sustainability, Affordable Health Care, and Religious Freedom Resolution, which was brought to the council by City Councilmember Kim Bergel on Dec. 13, only generated a single public comment, in which a member of the public asked that its language be changed to be more inclusive. Messner raised the initial concerns about the language of the resolution, calling it “outdated,” and Arroyo added she thought it important to make the resolution as inclusive as possible. Marian Brady, the lone dissenting vote after Austin Allison seconded the motion, said she felt the resolution used “fluffy language” to obscure its point and that future generations wouldn’t understand the intent. 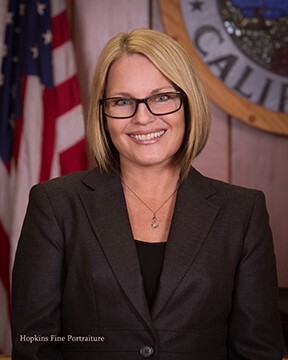 Bergel replied that she and Brady would have to “agree to disagree” and the point of the resolution was about treating people with respect. “I think if you read history you’ll be able to figure it out,” said Bergel, responding to Brady’s suggestion that its importance and meaning wouldn’t be clear in the future. The council did vote unanimously to extend the city’s parklet program, following a presentation by community development director Rob Holmlund on its parking impacts and community response. “It’s a great way to make our city more appealing,” said Allison. Tuesday the Eureka City Council will consider adopting a strongly worded resolution that delineates city attitudes toward the rights of immigrants, women, the LGBTQ community, people of color, people of all faiths and the environment. While never mentioning President-elect Donald Trump by name, the resolution, as proposed by Councilmember Kim Bergel on Dec. 13, seems a clear referendum on his campaign and agenda. Other cities, including San Francisco and Arcata, have passed resolutions or made proclamations since Trump's election declaring implicit opposition to his policies, but this would be a historically unprecedented decision for the city of Eureka. The resolution, titled the "Human Rights, Inclusiveness, Environmental Sustainability, Affordable Health Care, and Religious Freedom Resolution," was moved to the agenda in December by council consensus. The resolution, copied in its entirety below, says the city will support women "on women’s rights, whether in healthcare, the workplace, or any other area threatened by a man who treats women as obstacles to be demeaned or objects to be assaulted." It declares opposition to conversion therapy. It says "climate change is real." It says "affordable, universal healthcare should be a continuing priority." The Journal could not reach Bergel for comment, but we did reach out to the city for clarification on another item, which she also brought up on Dec. 13. "One and a half years ago we had talked about giving the island back to the tribe, and I was hoping we could have an update on that," she said, referencing the proposed return of 60 acres of Indian Island to the Wiyot Tribe, which tribal chairs requested in 2015. The city resolved last April to return the land, but no apparent further action has been taken. City Clerk Pam Powell said the matter will be discussed in a future meeting, but not next week. Among other items to be discussed on Jan. 17 are an extension of the city parklets program, rezoning of a parcel near the Eureka Mall, and a presentation by the Parks and Recreation Department on the opening of the Waterfront Trail. and WHEREAS, affordable, universal healthcare should be a continuing priority for the State of California and the United States. NOW THEREFORE, BE IT RESOLVED by the City Council of the City of Eureka, condemns all hate crimes and hate speech we will fight discrimination and recklessness in all its forms. We place the highest value on human rights. Further Resolved, that this resolution be forwarded to Senators Feinstein, Harris, and Representative Huffman to demonstrate our City’s commitment to fairness and inclusion. WHEREAS, affordable, universal healthcare should be a continuing priority for the State of California and the United States. NOW THEREFORE, BE IT RESOLVED by the City Council of the City of Eureka, condemns all hate crimes and hate speech we will fight discrimination and recklessness in all its forms. We place the highest value on human rights. Further Resolved, that this resolution be forwarded to Senators Feinstein, Harris, and Representative Huffman to demonstrate our City’s commitment to fairness and inclusion.